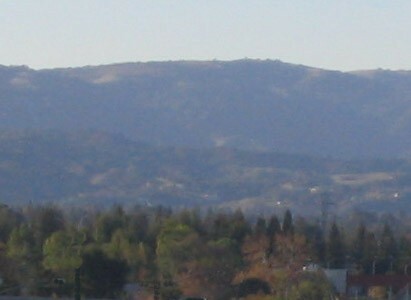 Nestled against the base of the Santa Cruz Mountains on the west side of Santa Clara County (about an hour south of San Francisco and a few minutes from San Jose), adjacent to the town of Los Gatos, Monte Sereno is a scenic, small city which is semi-rural with neither sidewalks nor street lights. It has, in fact, the tiniest population of the 15 cities within the County, having just about 4000 residents in about 1.6 square miles. There are no businesses in town, just residences, the city office and post office, and Daves Avenue School. 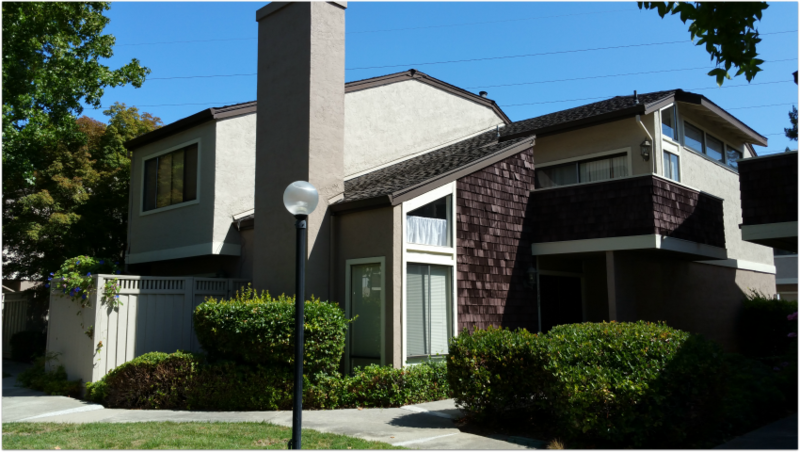 It is one of the most highly regarded and upscale communities in Silicon Valley. 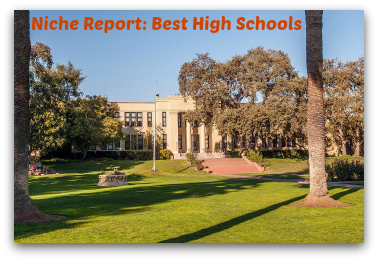 Monte Sereno enjoys many rolling hills and green views of the coastal range, particularly El Sereno, the peak of which rises over the the city and has an elevation of 2249 feet. There is an open space preserve there now, with 1415 acres and 7.4 miles of trails. Please see the El Sereno Open Space Preserve website for information on parking, trail maps, equestrian trails, and more. As you might imagine, the city is named for this mountain: monte – mountain, sereno – serene, calm or pleasant. And it is a pretty calm place to be. 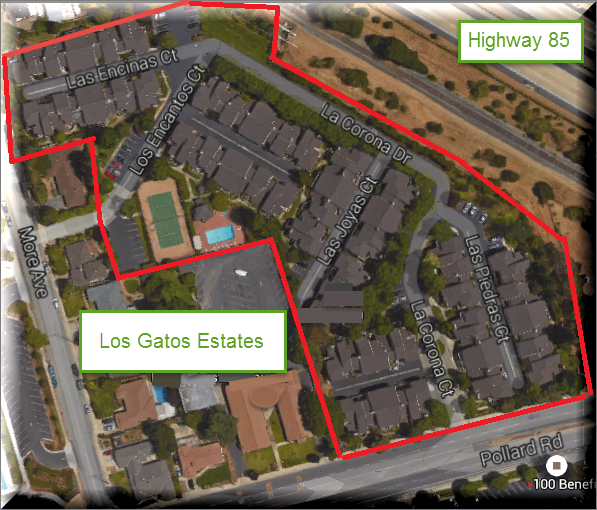 Monte Sereno shares schools, police, parks and the library with the town of Los Gatos, so they have much in common. 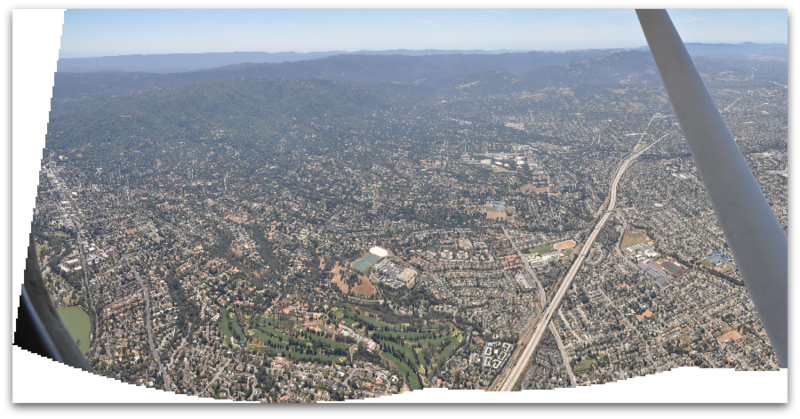 Almost 100% of Monte Sereno falls into the 95030 zip code, with a very tiny sliver belonging to the 95032 zip code. Both of these zip codes are also utilized by neighboring Los Gatos. 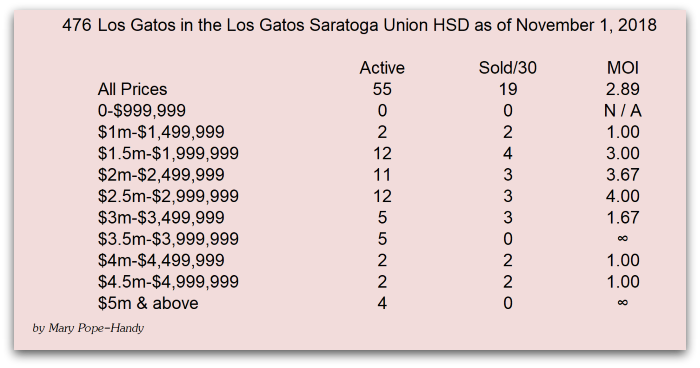 What does it cost to buy a home with Los Gatos schools? That’s not to say that you cannot purchase a house in town for quite a bit less! 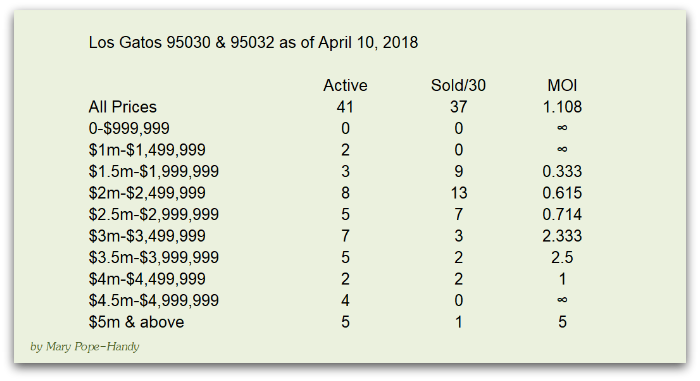 The least expensive home was an 1150 SF house on Las Astas Drive that sold for $882,000. 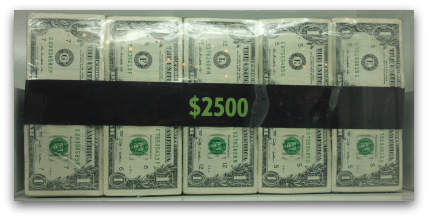 There were three in the $900s. And four between 1 and $1.1 million. 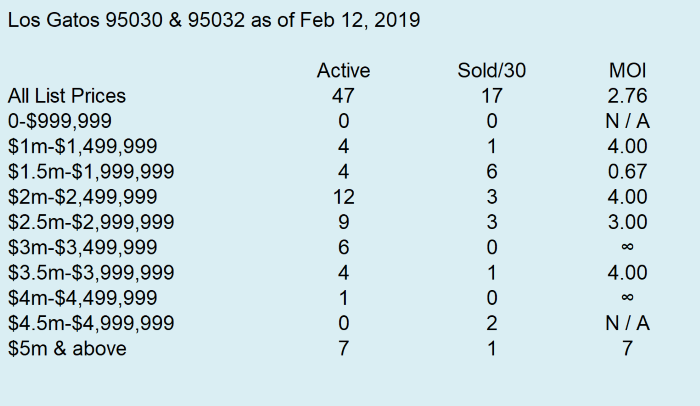 In all, there were 16 homes that sold for no more than $1,250,000. 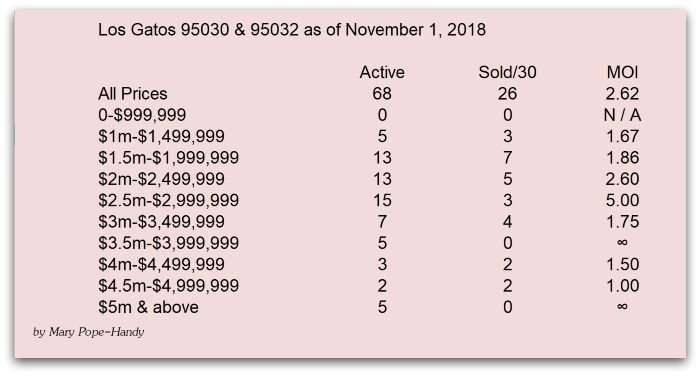 The most affordable condo sold in the last 3 months was a small one bedroom unit for $300,000 with about 750 square feet of living space. 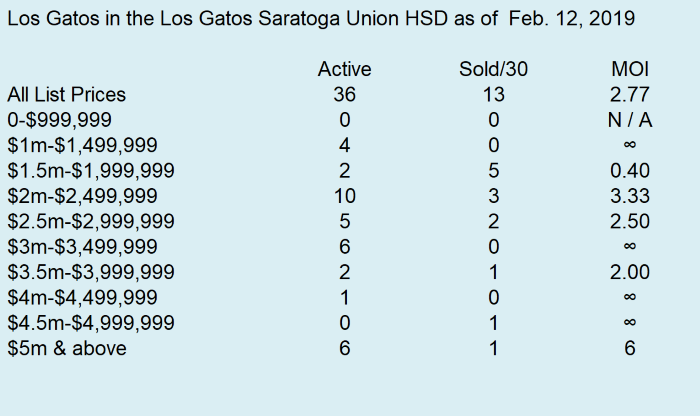 There’s quite a big range of home prices in Los Gatos. 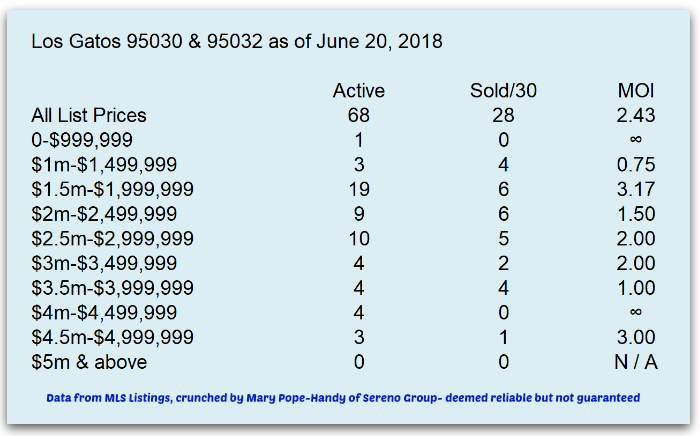 If you’re interested in buying residential real estate in Los Gatos (any school district) or nearby, please give me a call or write me an email and we can discuss finding the best home that works for you and your budget. The third annual Los Gatos Lions Club Presents: Date Night is on Saturday, May 18th and tickets are currently available for purchase at $65 via our website,http://www.lglions.org/events.html#Datenight or by simply giving me a call or reply. Our 2012 Date Night sold out with 350 guests and this year we expect to sell out as well so please purchase your tickets today. 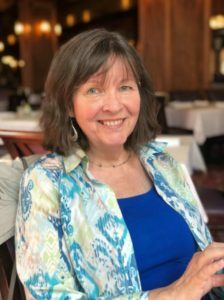 The Los Gatos Lions Club created Date Night to raise funds for supporting our commitment to making life better for all of our school-age children, especially those who need a little extra support in their mental and emotional lives. 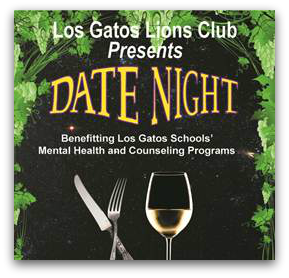 Proceeds from Date Night events are used to identify and reduce bullying, provide funding for counseling and mental health support at CT English Middle School, sponsor suicide prevention clinics and to support CASSY in providing licensed therapeutic counseling at Los Gatos High School and RJ Fisher Middle School. A tractor does the heavy lifting with two young trees to be planted at Daves Avenue School. Three trees were planted in all. An assembly of students gathered to hear talks by officials and classmates. Los Gatos Mayor Barbara Spector addressed the crowd. And most importantly, the students helped to plant too.